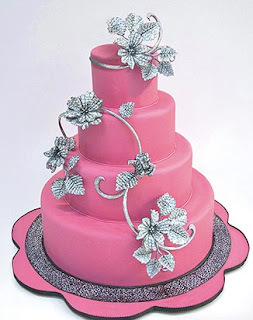 A selection of round wedding cakes with pink icing. 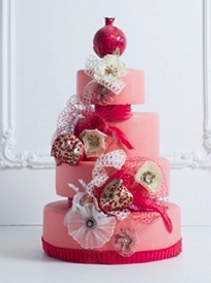 These beautiful wedding cakes are a dream come true, so romantic and lovely! 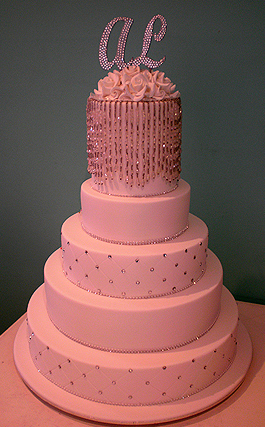 Four tier pastel pink round wedding cake with silver flowers. 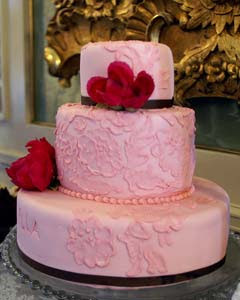 Pink three tier brocade wedding cake, decorated with floral patterns and red flowers. 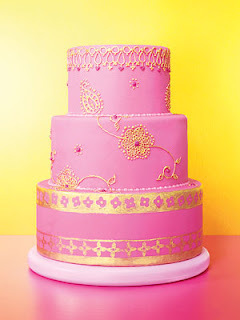 Three tier pink wedding cake with gold flowers and decorations, very whimsical! 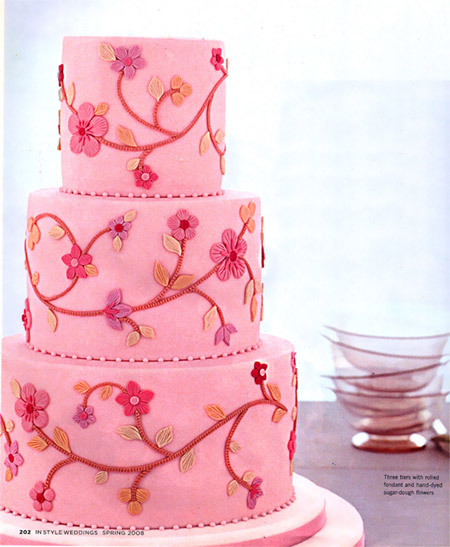 Beautiful three tier pink wedding cake with flowers. 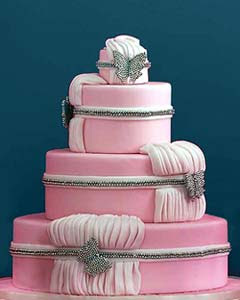 Five tier pink wedding cake in pink with monogram topper and lots of beads. Decorated with diamante butterfly brooches and diamante bands around each tier this beautiful three tier round pink fondant wedding cake has draped pink gathered fondant. So chic! A stunning pink wedding cake with fabric flowers from Cake Opera Co.